howtobejobless | A year in joblessness and hopelessness. Lolz. Escaping Costa: when will our careers actually start? How to Be Jobless on BBC World Service: What’s it like to be young and unemployed? A year in joblessness and hopelessness. Lolz. Annapaola Paparo started her Skype interview excited and motivated. Now, her attitude is more “Dear prospective boss, unfortunately you have not been successful on this occasion.” Here’s why. The interview happens on Skype. That should make things easier, shouldn’t it? It is 5.45 p.m. on a dull Monday. Mondays are always dull, especially when spent on job seeking. It has already been two and a half hours since I started waiting for Godot – namely, the president and founder of glorious PoundBeef (fictional name). Hi, I have called you but you have not answered (how is that even possible?) Anyway, I have just realised that interview was actually scheduled at 5.30 (was it?). Talk to you later. It is too late, now my schedule got all messed up. Talk to you later. Rule one of the perfect jobseeker: the prospective boss is always right. Even when you have not been hired yet and he is already holding you responsible for something. I manage to keep calm and carry on until 5.30. You can imagine my state of mind when at 5.40 the glorious president of PoundBeef has still not showed up. Have I messed up his schedule again? God, I hope not! Finally, he shows up at 5.45. He is young, as spotted earlier on his Linkedin profile. His piercing blue eyes look at me from my laptop screen. There is a faint smile on his face. He does not bother with chitchat, like hello, how are you doing, or maybe sorry for delay (forget about this, the prospective boss and I are Italians; we know that politeness is a waste of time.) He goes straight to the point, as real men do. Hi. We are going to have an informal chat. Eventually, if I like you, you will have an interview with our head of communications. Eventually, if he likes you, we will all meet in London, for a final interview. I can’t wait for that! I think. I start talking about myself, as he asks. However, as I open my mouth, the glorious president breaks our virtual eye contact and turns his face to the left. I can see his glorious profile while he is apparently inspecting something else; maybe he is looking at another computer screen (is he reading my CV?). Anyway, I carry on talking about myself, my background, why I moved to London, what kind of company I am working for. Trouble is he is not being acknowledging my presence. He is looking at something else. A few times, he is even turning his back to me, bending over and rummaging on the floor. I am worried that he cannot hear my voice, that we are both in the same dream, that aliens have put us in two different space-time dimensions. This is not what I asked you, I do not want to know what kind of company you work at! I just want to know what YOU do! Good to know he is actually listening to me. I must make the most of this moment, since he is looking towards the camera again. This is my chance. I quickly give him the information he wants, although his attention span is really too brief. It reminds me of when I was a child attempting to catch a fly with a glass. Just when you think you’ve got it, it flies away. In fact, the glorious president breaks eye contact again. He is looking again at the other computer screen. From my perspective — I can see one of his eyes, that is rolling, and a portion of mouth, that is making some grumbling-like noises — it is not looking good. At all. When he cries the second time, I am almost expecting it. Why have you not managed to find a proper job yet, in all these years? Oh, my glorious president. What a question. Do you not regard freelancing, temping, volunteering, interning, work-experiencing, tip toeing, table cleaning and pie baking as jobs? Moreover, if I currently had a “proper job”, then what? Would we even be having this heartening, rewarding and deeply emotional conversation? Would we have had the pleasure to bump into each other and chat? Of course not! Thanks to the Universe and its own unexplainable plans for that! Surely, I won’t talk about bad economy and universal plots. Instead, I try to defend myself as best as I can, although I have realised there is nothing to be done. Already. While looking away, the glorious president of PoundBeef is grumbling like a teapot. He is rolling his eyes and shaking his head. He is pulling faces and openly sulking. I am mortified. Firstly, I mess his schedule up. Then I upset him after just 10 minutes of conversation. At this stage I realise I’d better shut up. That any additional sentence at all will upset him. I might as well be saying my top model friends are coming to meet you, right now. When he finally realises I no longer wish to talk, he seems to relax. He looks at the camera, at me, and says, as being a bit spiteful: we only hire smart people. Right, got the message. In my head, another memory is taking shape. Those evil school kids nobody liked but everybody cheered. Those children were unquestioned leaders, and would admit or exclude you from their games just for the sake of ruling. Anyway. Towards the end, he is polite enough to ask if I have questions. I do, actually. Among other things, I ask him if company has a branch in London or if the job will be carried out remotely (I have researched online the company’s location but I have found nothing). Following my question, his piercing blue eyes open widely, as if I have just pronounced the worst insult. Of course we do! We have a marvellous London office (where you will never put your foot, he implies). Finally and thankfully, our conversation ends. He simply says I will call you if I want you, and then disappears. Dear prospective employer, please do not even think of hiring me. 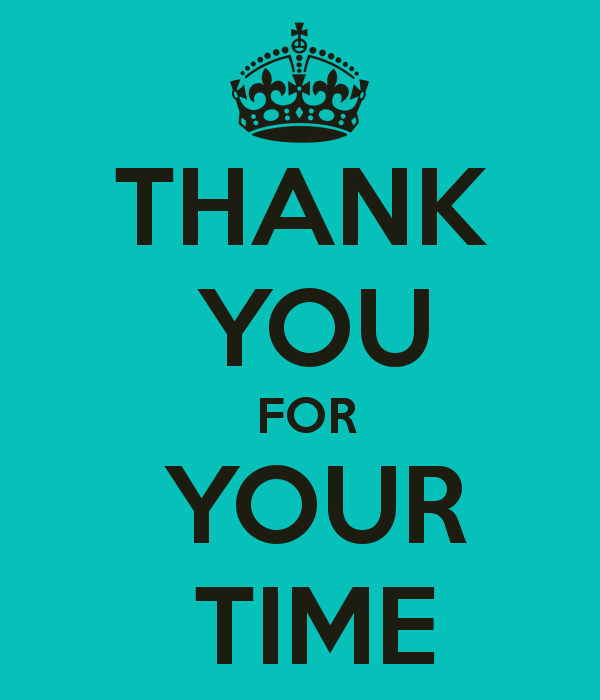 Thanks for having spent your time looking at my CV and sharing details about the job offer. The history of your company and profile are impressing, indeed. However, you have performed poorly on this occasion. Besides, I suspect (in fact, I sincerely hope) that there are better employers out there than you. At least, a tad politer. In addition, I would like you to remember that I did not ask for money for you to contact me, nor have I bribed or threatened you or any of your friends or relatives, or forced you verbally or physically or through the enticing powers of my mind. Getting in touch with me was your free choice. Submitting an application to the “kind” attention of PoundBeef was my mistake. Please, do not even think of retaining my CV. I couldn’t even stand to have coffee with you, so you can imagine how pleased I would be to work for you. There is some comfort in being rejected because you’re not good enough. The job you wanted, so tantalising and rent-paying, was never in reach. You may as well sulk that you no longer have a chance with Brad or Angelina. But being rejected when you’d have been great at the job? That’s annoying. And Amanda Mester had the perfect response. Overworked looking for jobs? 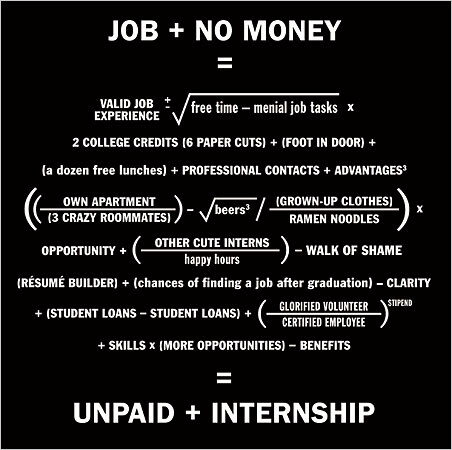 Get yourself an unpaid intern. It’s both illegal and totally fine.